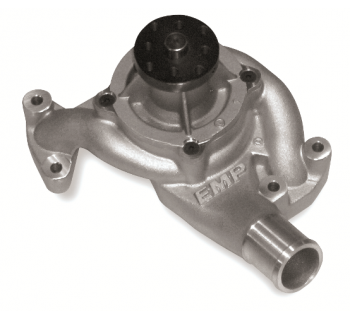 EMP/Stewart Components Pro Series Water Pumps are the latest technology for Professional Racing. By utilizing a Twin Volute housing and replaceable water pump cartridge, they offer a perfectly balanced flow between both sides of the block. They use less horsepower and can move more water than any other pumps. Pro Series pumps are cost efficient by allowing just the cartridge to be replaced, making it no longer necessary to change the whole water pump. The cartridge can be changed out very fast, by removing the pulley and four bolts. All Pro Series water pumps use an o-ring to seal the cartridge and do not use a backing plate, so there is no gasket to leak. 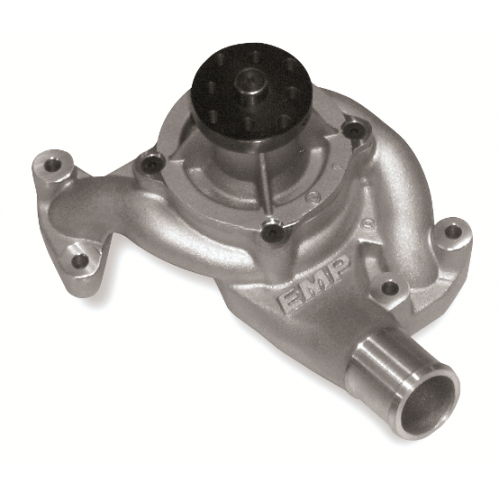 Whether you race circle track, road race or drag race, professional or amateur you will benefit from these water pumps. Designed to bolt up to the Yates belt drive. It can be used with a factory timing cover with the use of spacers.